The landscape at night is an entirely different world than during the day, and it would be a waste to limit your outdoor experience to only the day world. Landscape lighting provides safety and security, but it is also an art, providing light to accent trees or shrubs, walls or walking surfaces. Turn a patio into a night party space with a boundary of light to hold back the night, or go with a more spaced approach and allow your fire-pit to take center stage. Line your garden path with lampposts, or highlight your favorite features with fairy-like lighting. 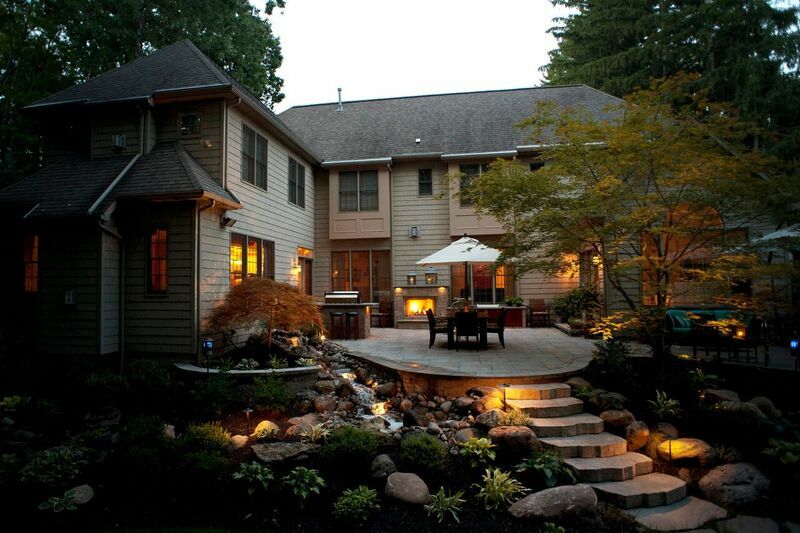 Landscape lighting is generally provided by low voltage, cost effective fixtures that give an unparalleled look of subtlety, warmth, and intimacy. Un-limit your outdoor space and extend it into the night; Talk to us about how to create your own night world!